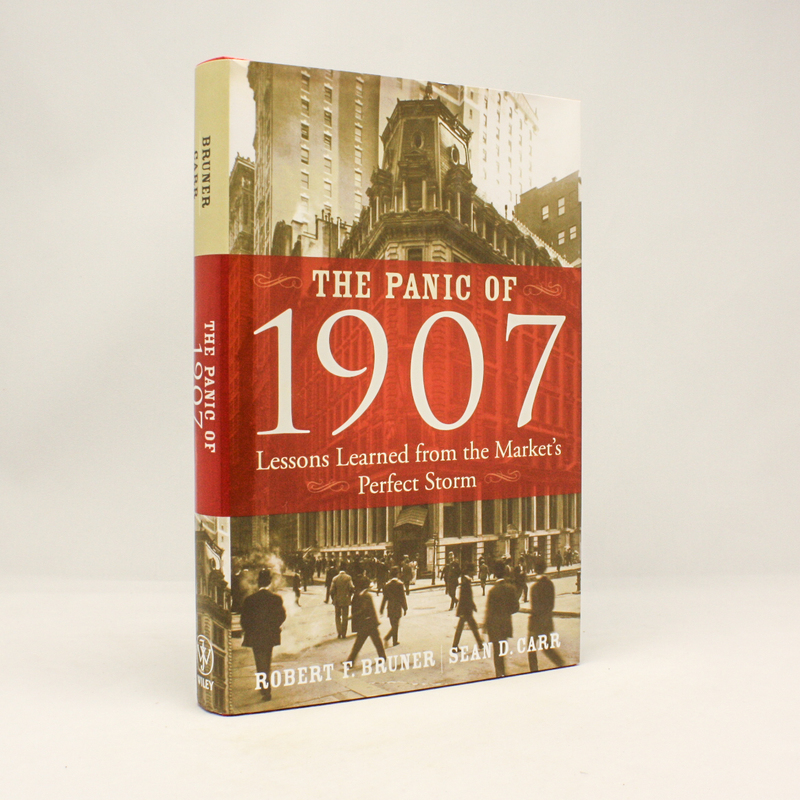 The Panic of 1907: Lessons Learned from the Market's Perfect Storm - IFA Vintage and Current Book Library - Index Fund Advisors, Inc. Author: Robert F. Bruner and Sean D.
"Bruner and Carr provide a thorough, masterly, and highly readable account of the 1907 crisis and its management by the great private banker J. P. Morgan. Congress heeded the lessons of 1907, launching the Federal Reserve System in 1913 to prevent banking panics and foster financial stability. We still have financial problems. But because of 1907 and Morgan, a century later we have a respected central bank as well as greater confidence in our money and our banks than our great-grandparents had in theirs." "A fascinating portrayal of the events and personalities of the crisis and panic of 1907. Lessons learned and parallels to the present have great relevance. Crises and panics are as much a part of our future as our past."